The General Hydroponics FloraCoco is a highly concentrated 2-part nutrient system for coconut coir. Say goodbye to CalMag forever! 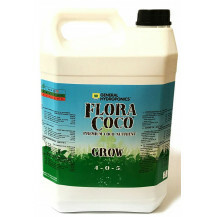 Uniquely amongst leading brands, FloraCoco doesn’t need additives for success from seed to bloom: other coco specific 2-part nutrients require additional Cal/Mag and PK boosters, as well as 2 bottles of “grow” and 2 bottles of “bloom” nutrients. Not so with FloraCoco: two bottles are all you need! FloraCoco is exceptionally rich in calcium and magnesium, but it also contains the full range of other elements that a plant needs for healthy vigorous growth, followed by bountiful flowering and fruiting. This includes the trace microelements which give your final product all the aroma and flavour that your plant is capable of developing. 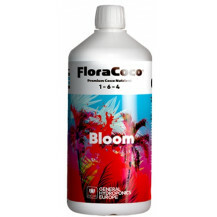 As with most of General Hydroponics' nutrients, you use both FloraCoco Grow and Bloom throughout the lifecycle of your plants; you simply change the ratio between the two as your plants progress: there is no second set of bottles to buy when you go from grow to bloom. - Shake well before each use, add each part to water separately, mix thoroughly, and always rinse measuring equipment. 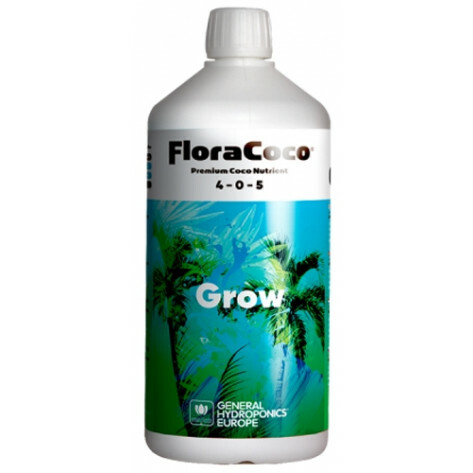 - FloraCoco is very concentrated: a maximum of just 4.5ml/L in water is required. - Works With: Works with all plants, optimized for Coco coir substrate.